Apple Announces iPhone X, Is This The Era Of The $999 Phone? | OhGizmo! Apple Announces iPhone X, Is This The Era Of The $999 Phone? By Randy Donack on 09/12/17 • Leave a comment! Today was Apple’s big day of announcements as they revealed the latest versions of the iPhone, among them were the iPhone 8/8 Plus, as well as the much rumored iPhone X, which has been thought to be Apple’s significant update to the iPhone line in honor of the 10th anniversary of the first iPhone. Here are some of the biggest things you should know about their newest flagship. First, the design is the most obvious change as Apple removed the bottom bezel and much of the top, taking with it, the home button. The new design allows the screen to grow to 5.8”, while remaining physically smaller than the iPhone 7/8 Plus. This change also alters the basic functions as you now need to swipe up from the bottom of the phone to reach the home screen as well as having to use the larger power button on the side to activate Siri. Of course, you can’t remove the home button without also removing Touch ID, so Apple’s solution is to use advanced facial recognition which they’ve called Face ID. It works as one would expect, simply hold the phone up to your face and it unlocks. Apple claims Face ID is more secure than Touch ID and says it won’t be fooled by holding up pictures to unlock the phone, though people with evil twins should be on the lookout. The display has also seen updates as the resolution is now sharper and the display uses OLED technology in what Apple is calling Super Retina. Along with support for HDR, the iPhone might have finally caught up to Samsung’s industry leading displays. Just like any new iPhone, the newest update brings along new cameras with larger sensors for better lighting, as well as dual OIS on both rear facing cameras. Portrait mode is now being brought to the front facing camera, and slow motion video is available at 1080p 240fps for incredibly sharp wipeouts of your friend doing a skateboard trick. There are other new features as well, such as support for wireless charging (finally) and better/louder speakers, but all this adds up to one question. Would you spend $999 on a smart phone, even with all the new features? It’ll be interesting to see just how many people are willing to spend that amount on a phone. 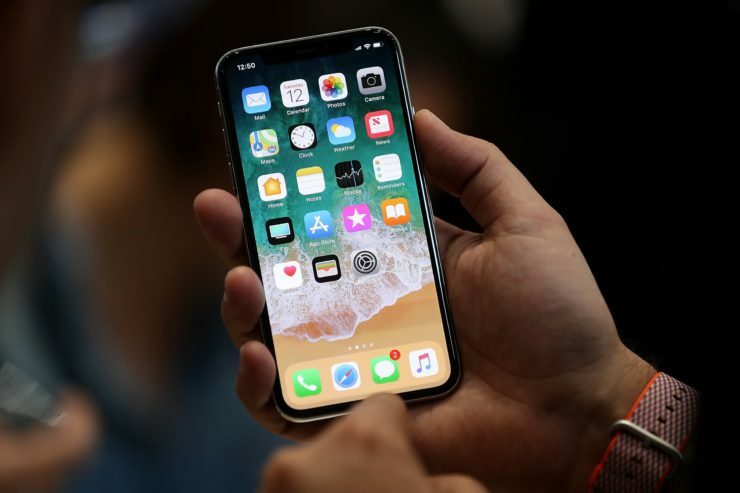 Even if you’re not an Apple fan, you should be interested because if Apple’s iPhone X is a runaway success at $999, other phone manufactures may soon follow suit. Pre-orders start October 27, and the phone starts shipping in November. It’s not for me, but man, it sure is beautiful.